The Ordine Architetti P.P.C. di Roma e Provincia and the scientific coordiators, Arch. Marco Capobianchi, Arch. Marco Amadio and tutor Arch. 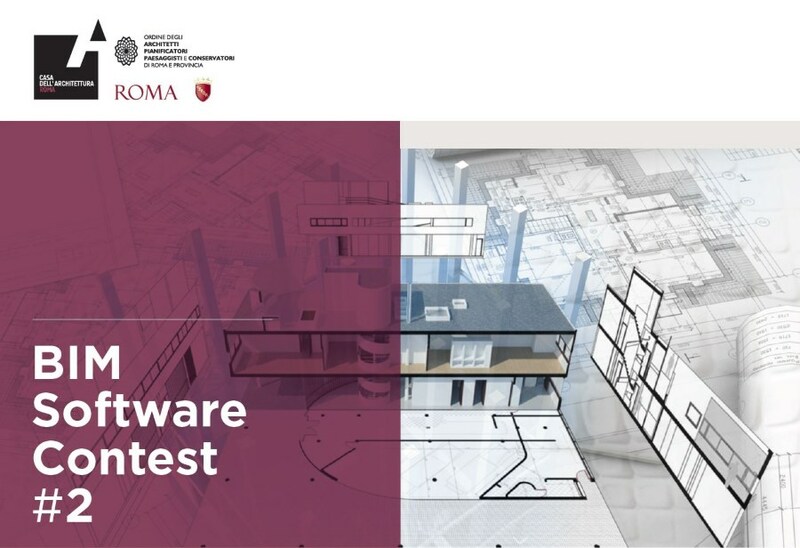 Nives Barranca, organize the 2nd edition of the BIM Software Contest in Rome. Giuseppe Massoni (McNeel Europe) and Ramón Cárceles (Asuni) will introduce Rhino, Grasshopper and VisualARQ at 4.20 pm session, showing their potential to develop the Ville Savoye project. The BIM Software Contest events are born with the aim of providing architects with a clear overview of the differences and potentialities of the individual programs. The professional will thus be able to understand the philosophy of the products and choose the most suitable instrument for his work, his objectives and his budget. The Ville Savoye project was actually selected by Asuni as a good example to learn VisualARQ and you can find the full video tutorial here.